The workshops are an effort to offset surmounting challenges that refugees are facing in accessing holistic and timely healthcare. 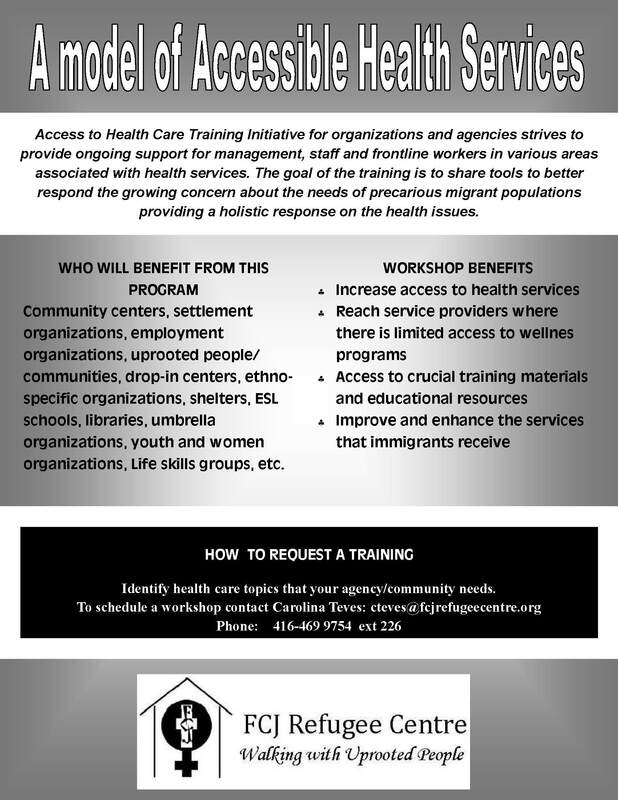 Our goal is to increase access for refugee women to a holistic healthcare regime that highlights counseling and mental health, as well as greater knowledge sharing and dissemination of accurate and up-to-date information around promising self-care practices, community health resources, and changes to the Interim Federal Health Program. 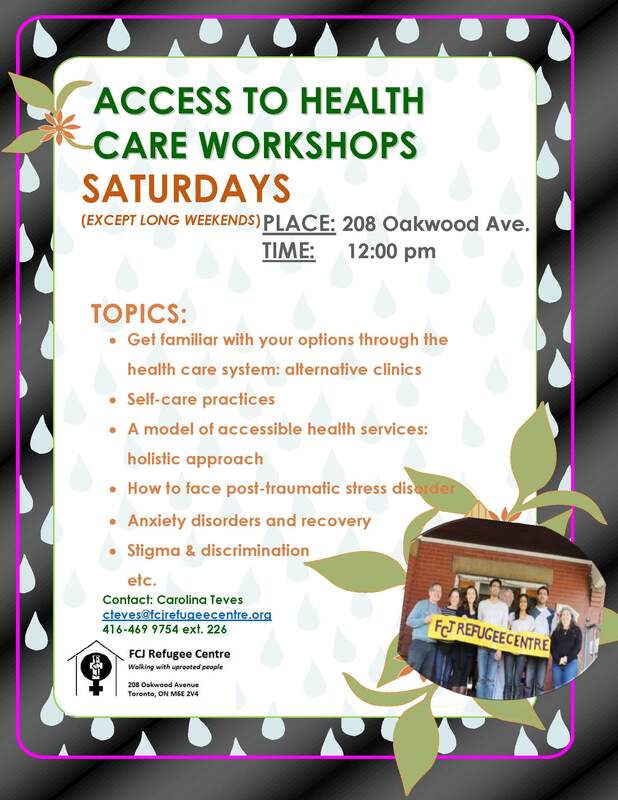 This service provided by FCJ Refugee Centre is part of the Accessible Health for Uprooted Women Initiative.